Born and raised in Marksville, Van Roy is the co-owner of Bailey's on the Square, a special event venue located in the historic Bailey Theater. He is also a realtor with Roch Michael Real Estate. He is currently President of the Rotary Club of Avoyelles and President of the Marksville Chamber of Commerce. He serves on the boards of the Avoyelles Arts Council and the Avoyelles Society for the Developmentally Disabled. 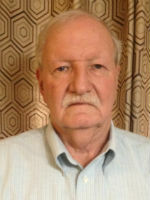 He is a firm believer of community service and feels that it adds to the quality of life for those who live in the city of Marksville and Avoyelles Parish and those who visit here. Rebecca McGovern Guillot was born and raised in Marksville and is happily married to Chad Guillot, a public defender attorney for Avoyelles parish and is the proud mom of her little boy CJ Guillot. Rebecca attended LSU and earned her Bachelor's degree in Accounting and then went on to earn her Master's of Science in Accounting. 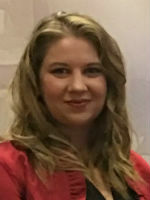 Rebecca currently owns and manages Flash Tax, LLC and McGovern's Accounting Service in Marksville and is a practicing Enrolled Agent that can represent her clients before the Internal Revenue Service and the various States. She is actively involved in her church, serves on the board for the Marksville Chamber of Commerce and the Rotary Club of Avoyelles and has previously served on the St Mary's Assumption School Council. John is the Executive Director of All Saints Hospice. He has been working in the Avoyelles area for 10 years and in 2015 began his tenure at All Saints. 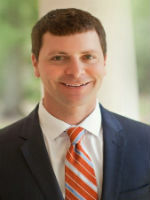 He holds a Master’s Degree in Business Administration from the University of New Orleans and is a Certified Public Accountant. He is the father of two boys, Joe (20) and Andrew (16). 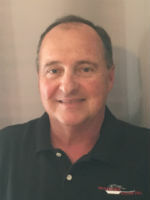 John is also on the board of directors of the Avoyelles Arts Council and participates in many of the community activities throughout the parish. Jennifer was raised in Oklahoma, but says she has always wanted to live in Marksville because she loved the smell of the rain. 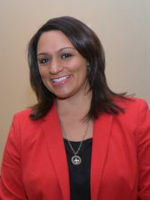 In 1997, she moved to Louisiana and graduated from Marksville High School. She has worked for the pubic for over 15 years. Past administrator for the Marksville Police Department, secretary for the District Attorney Charles Riddle, and now enjoys every aspect of her job as Executive Director with the Marksville Chamber of Commerce. She has been married for 21 years to Shawn Moseley, an Outside Sales Representative for H&E Equipment, and has three beautiful children, Julie (20), Bryce (16), and Grace (7), whom she is very proud of. 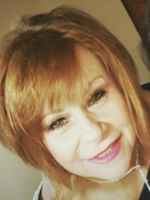 Jennifer currently serves on the board of the Avoyelles Arts Council and is a CASA volunteer. She is a firm believer that if you give of yourself, your blessings are returned to you three-fold. She loves serving people in any way she can, and enjoys the outdoors. In her spare time, her passion is hunting and spending time with her family. Responsible for the successful overall direction, administration and coordination of the Facilities department to include environmental services, engineering, maintenance, construction and renovation, exterior grounds and utilities. 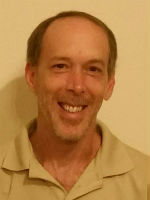 Chris has 37 years of management experience; 24 years of it in casino operations. 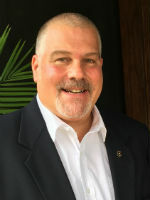 He has served in several capacities throughout his tenure with Paragon Casino Resort F/K/A Grand Casino Avoyelles; including Director of Environmental Services, Director of Engineering, Vice President of Facilities, Sr. Vice President of Facilities/Assistant General Manager and Acting General Manager for varying periods. 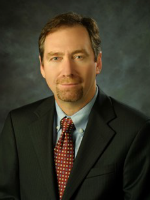 He also held positions as Vice President and Board Member of the Tunica Biloxi Economic Development Committee. In addition, he played a major role in the $150 million dollar 500,000 sq. ft. expansion project as Chairman of the committee. Chris attended the University of Nevada where he completed the Reno-Gaming Executive Development Program. 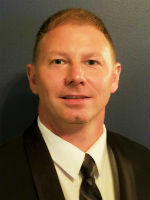 He has participated in numerous training programs on and off property including; Paragon’s Management Certification Program and Guest Service Training through the Freeman Group. Life long resident of Marksville, La. Wife Emeilie, daughter Jessica and two granddaughters, son Chris Jr. I am a 1995 graduated from Marksville High School. I graduated from Louisiana State University at Alexandria in 2015 with a Bachelor’s Degree in Business Administration and a minor in management. I am a certified real estate appraiser and have been appraising real estate since 2013. I am a Louisiana native and grew up in Lafayette, LA. I have been in the insurance business since 2006. I graduated from ULL with a Bachelor’s of Science in Business Administration with a Concentration in Finance. I have been with State Farm since 2012 and recently opened a State Farm Agency in Marksville, LA in April of 2016. I enjoy the outdoors and my hobbies include hunting, fishing and golf. In 2015 I retired from the State of Louisiana with 37 years. The last 23 years I was a juvenile probation/parole officer and supervisor of juvenile probation the last 5 years. This was my passion as I could make a difference I young people's lives every day. In addition to this role I have been the director over Avoyelles Teen Court for 22 years. Again this program was a wonderful way to help young people to correct situations of poor decision making. I have been the president of the Spring Bayou Waterworks District since 1989. I am currently serving as secretary of the board for the Central La Juvenile Detention Authority. I am a member of St Joseph Catholic Church. Currently I am coordinator with CASA which is part of CAN. We are a non-profit organization that serve as the eyes and ears for the court and our role is to advocate for abused/neglected children that have been placed into foster care. I am a board member of the Marksville Chamber and ever so proud of our organization. 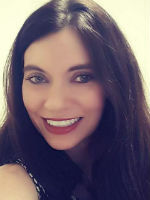 Jenny Donaghey Beckham is an attorney practicing in Marksville, as both a general practitioner focused on Estate Planning & Successions, and as an Assistant DA for the 12th Judicial District. She has been married to Jeremy Beckham for 17 years, and they have two small children. Jenny is a member of the Rotary Club of Avoyelles, and the youth group leader at Bayou des Glaises Baptist Church. In 2013, she returned to her home Parish of Avoyelles after 11 years away, and has a strong desire to see the parish and the people in it grow and succeed. Jenny believes the best leaders are those that lead by example, and will never ask others to undertake a task that she herself is not willing to undertake. Currently serving as President of the Avoyelles Parish School Board. Serve on the Board of Directors for the Avoyelles Society of the Developmentally Disabled, financial secretary for the Marksville Knights of Columbus, Treasury for the Avoyelles Community and Youth Coalition, CASA Advocate Volunteer, Teen Court Intake Officer, Marksville Lions Club Member, and Woodman of the World Lodge #612 Member. I love working with the Chamber because we strive to help our community, organizations, businesses, etc. I am married to my wonderful husband, William Jupp and we live on beautiful Spring Bayou which we both strive to keep beautiful through Spring Bayou Restoration Team. I have two wonderful children, Donald and Donna and they have given me four wonderful grandsons. Owner of Panaroma Foods, Inc. 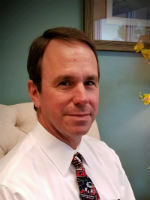 Currently serving as Board Member on Marksville Chamber of Commerce, Chairman St. Joseph Finance Council, President of St. Joseph Cemetery Association, President of Sacred Heart School Council (Moreauville, LA). Board Member of Avoyelles Rotary, Member of Marksville Lions Club, Member of Knights of Columbus # 1217, Chairman Marksville Civil Service Commission, Former City Councilman and Former Mayor of Marksville. Married to Tiffany Ritchie Laborde, three children; Christopher Laborde, Nicholas Laborde, and Elizabeth (Lele) Laborde. Two grandchildren, Drake and Jack Laborde. Chuck Phillips is the owner of Phillips Sublimation, located in Echo. He prints not only small format items such as shirts, signs, gifts and awards, but also large format items like banners, table throws, canopies, retractable banners and beyond. With a lifetime background in the sign industry, sublimation was the perfect fit for him and his family. He tries very hard to be involved in our community and is always willing to help when called upon. A native of Marksville, Allison Ravare-Augustine's impeccable reputation as a community leader and tireless volunteer speaks for itself with a bio that reads as someone well beyond her thirty-four years. Augustine, the wife of Johnathan Augustine and mother of their five year old daughter Aleyce, is a graduate of University of Louisiana at Lafayette and is the director of marketing for Riviere de Soleil in Mansura. She is also a marketing consultant for Dr. Donna Breen's Medical Spa in Marksville. She has been an active member of Marksville's Holy Ghost Catholic Church all of her life. At the young age of 22, when most young adults and couples are planning their futures together, tragedy struck when Augustine lost her first husband to cancer. Though she had always been an ambitious student and active academically and socially, her loss became a catalyst for a life committed to promoting cancer awareness and serving her community through organizations that speak to her personally. 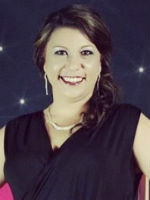 Allison Ravare-Augustine has been actively involved with the American Cancer Society for 17 years, is currently serving as Chairperson for Avoyelles Relay for Life and is the founder and director of the Louisiana Queen of Hope Pageant, an annual event that directly benefits the American Cancer Society. She serves as a state judge for pageants and is highly respected in the pageant world. Add to this her roles as past president and member of the Marksville Chamber of Commerce, past president and board member of the Rotary Club of Avoyelles, President and board member of the Avoyelles Council on Aging, Board Member of the Red River Charter Academy, and member of the Avoyelles Hospital Board of Trustees, and it's clear to see that Augustine truly lives Rotary's motto of "Service Above Self." 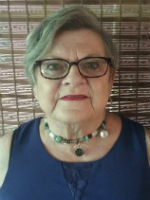 She is also the president of the Avoyelles Arts Council, for which she serves as Chair of the Avoyelles Arts & Music Festival, an annual event she helped found and organize seven years ago that has become one of Central Louisiana's biggest summer attractions. "Central Louisiana is my home and where I have chosen to live and raise my family. The quality of life here is important to me and I find great joy in working with others to enrich and nurture the lives of others through the work I do in the community."